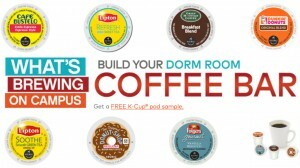 Snag a FREE K-Cup sample pack from Walmart! Free Android App – Today only, Aug 5, Amazon.com is offering a FREE download of the app Servers Ultimate Pro (a $8.99 value!). Free Better Homes and Gardens Magazine Subscription – Snag a FREE one-year subscription to Better Homes and Gardens! Free Family Circle Magazine Subscription – Hurry over here where you can score a FREE one-year subscription to Family Circle magazine.